When we think of athletes, the image that often comes to mind is one of a Greek statue; lean and muscular with a perfect body, free of fat. 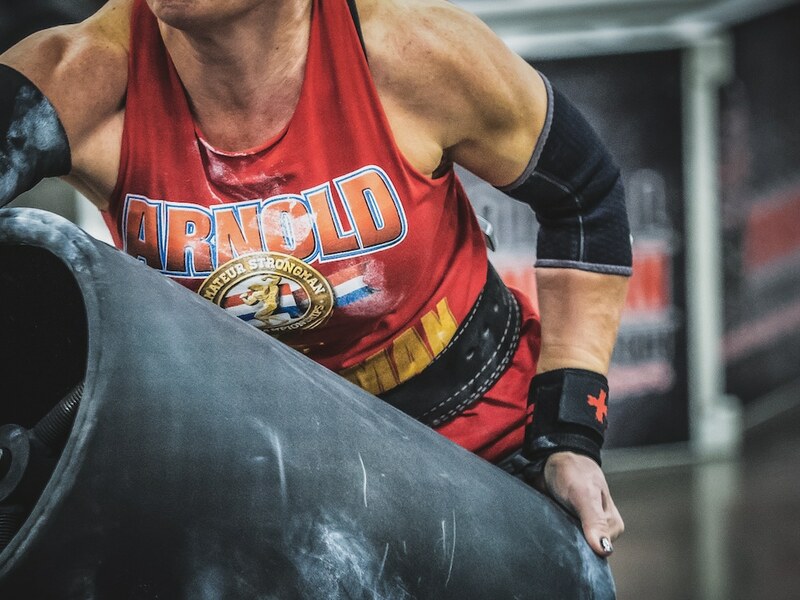 Most times this is exactly what most competitors who are in weight classes will strive for: maximum muscle with minimum baggage, but there are reasons you may want to soften up a touch in your class. A large muscle has more potential for strength than a smaller one. This is accepted science and seems to be common sense. However, the biggest muscles belong to pro bodybuilders, and they are nowhere near the strength of the average strongman. The volume of their workout inflates the muscle to unnecessary levels of size, where the law of diminishing returns takes over and much of that mass is strictly superficial, offering, I believe, zero benefits to an athlete. Never just add muscle mass for the sake of having it, as it isn’t very helpful. Instead, you should train for the strength and endurance that is laid out in your program and eat to recover from that training. When you begin a strength sport sport you will often experience a muscle mass gain that will taper off after 18 months to two years of training. At that point you will have most of the mass you need and all that your body will hold without extreme measures. At this point we will call this your natural walking around weight. If you are lucky, it is within a few pounds of a weight class. For most though, they land somewhere in between; too much for an easy cut or too light to hit the potential in the class. Fat uses very little energy at work or at rest. Let us take two equally strong 230 pound athletes and give them a year to compete in the 242 class. Both athletes want to maximize their weight for the contest but one will put on fat and the other muscle. We will use the same strength and conditioning program for the pair, but the muscular athlete will have to do some extra hypertrophy work to add the mass. The less lean athlete could elect to add in some more work focusing on power, strength or conditioning or just use that time for recovery. The leaner athlete will most likely follow a more expensive high protein diet where as the the other can add in cheap fats and sugar. After a year, putting both athletes head to head should find the fatter athlete just as strong as the more muscular athlete but less tired after a maximum front carry and feeling better doing it. This is because the athlete who is fatter has a more fuel efficient body. While their muscle is sipping fuel like an economy car, that big V8 of the muscle man is sucking their energy dry. Not to mention the year of extra work and recovery needed for size that can cut the top end off your one rep max. In this case, getting more muscular can cost you strength! Keep in mind that you should keep your bodyfat numbers within medically recommended safe ranges (about 20% for men and 25% for women). With the activity required for competing, you should feel well, too. Feeling your best at weight class can be a challenge but should never require constant effort to maintain weight. The stress of overeating alone can hurt your performance as well. 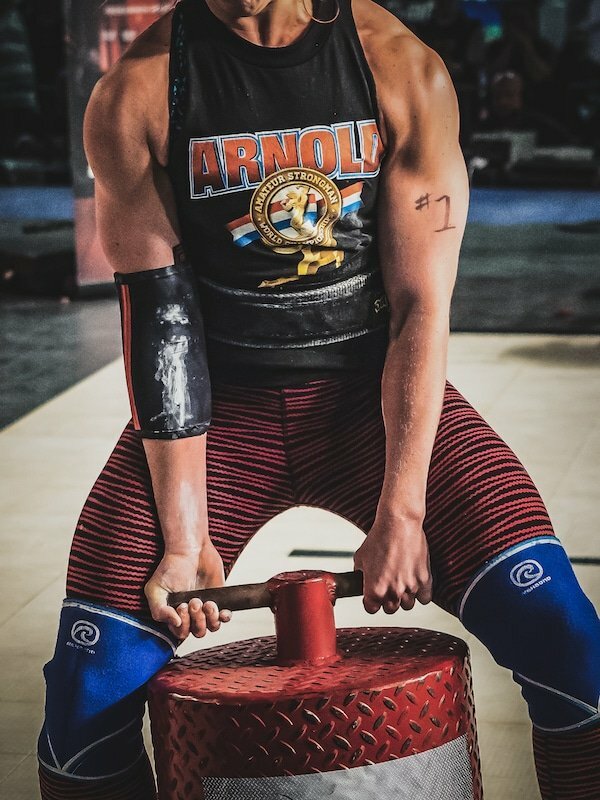 Don’t be afraid of the crazy super muscular competitors at line up times either. You put in the work and made a smart choice, now leave it out on the field.